MEDIA, Pa. (WPVI) -- A portion of Riddle Hospital in Media, Delaware County was evacuated due to an odor of natural gas, officials say. The odor was reported around 9:30 a.m. Thursday at the hospital located at 1068 W. Baltimore Avenue. Officials say patients and staff were immediately evacuated from the affected areas of the hospital while the issue was being investigated. According to the hospital, PECO and local fire officials have confirmed that there was no gas leak and all areas of the hospital have been cleared and are fully operational. "As always, our first priority is the safety and well-being of our patients, employees and community. 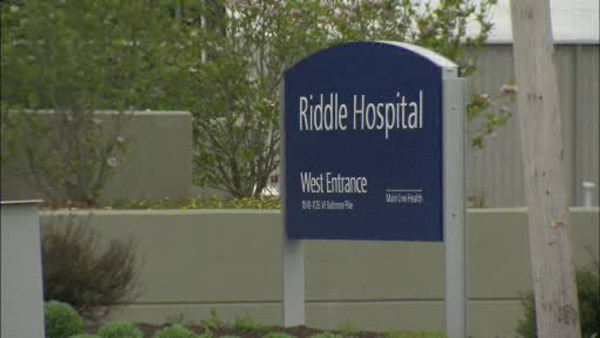 We appreciate their patience and understanding as we quickly resolved this issue," the hospital said.